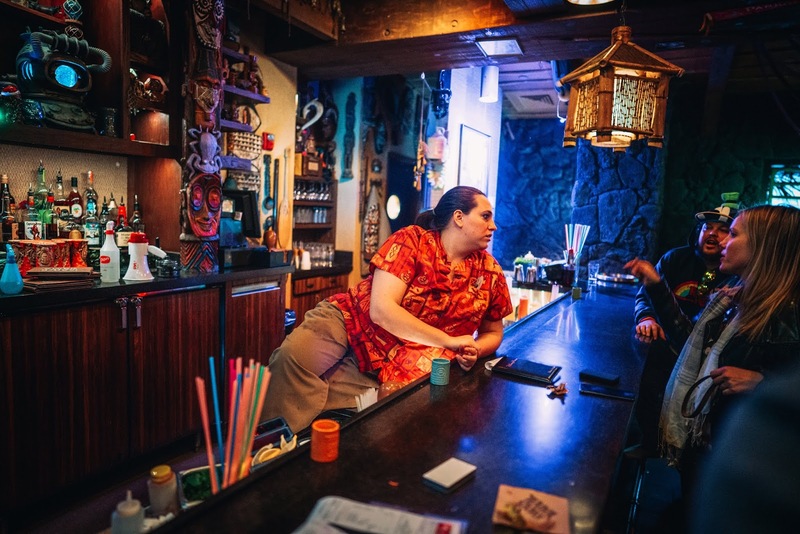 Getting there: Trader Sam's Grog Grotto is located inside the Polynesian Resort. If you are already staying there, then extra bonus points for you! If you are not, it is easily accessible by monorail, which you can ride straight from Magic Kingdom Park or the TTC (Transportation & Ticket Center.) 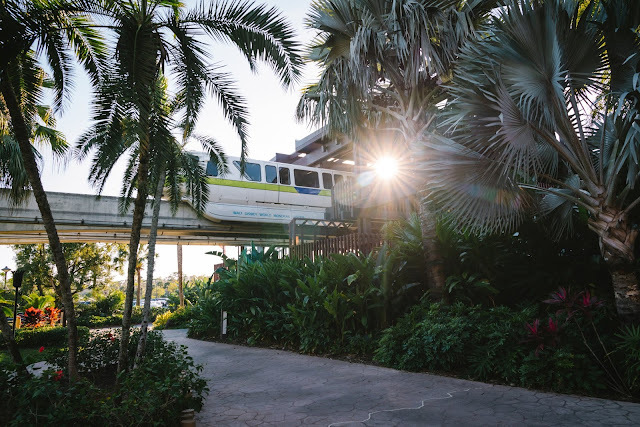 There are also buses you can take from any of the parks, just ask a cast member for the one that is headed to the Polynesian. Tiki Terrace: Trader Sam's features two seating areas... one outdoors called the "Tiki Terrace" and the main attraction inside at the Grog Grotto. 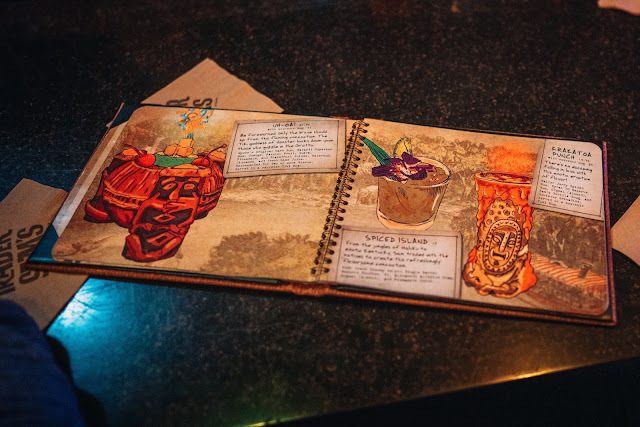 No question, you definitely want to sit inside at some point to witness the show and spectacle that is Trader Sam's. However, unless you arrive right at 3pm or later in the evening, you will likely have to wait a bit to snag a seat inside, which is fine, because there is one giant advantage to sitting outside: Spikey Pineapples!! I'm fairly certain this is the only drink that's not offered on the menu inside (though, we discovered that if you ask extra nicely, they might be willing to make a trip outside to get one for you.) So what is it exactly? 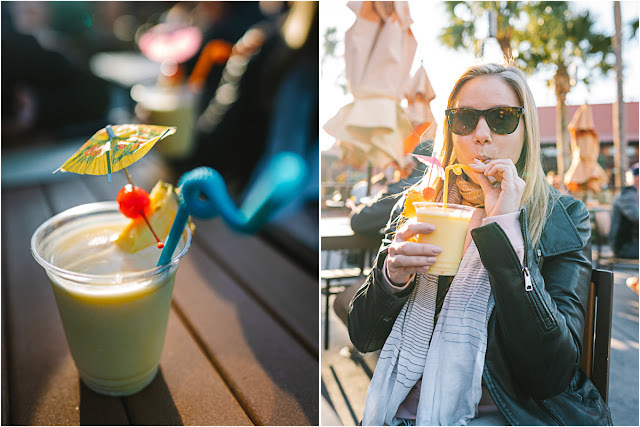 Well, if you know anything about the food in Disney World, you know that there is somewhat of a cult following surrounding the Pineapple Dole Whip soft serve available in the Magic Kingdom. A Spikey Pineapple involves that soft serve, "spiked" with Barbancourt Pango Rum (and for an extra charge, you can get another floater of 151 rum on top.) This was perhaps my favorite drink of the trip (or maybe tied with the Grey Goose slush at Epcot)... so you need to try at least one of them. This drink will run you $12.50, plus another $3 if you want the extra shot of rum added. 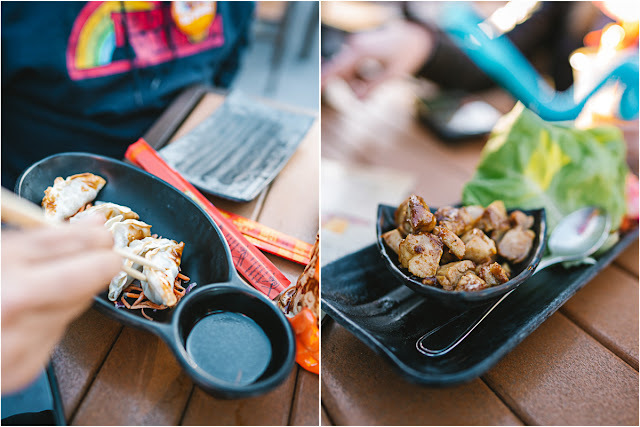 Food: On our first visit, we arrived just around dinner time and happened to be famished, so we decided to enjoy a few food items outside as well. (FYI... this menu is also available inside.) The food offerings reflect a very Polynesian vibe, including these Kálua Pork tacos, which are definitely a must-order on the value alone. 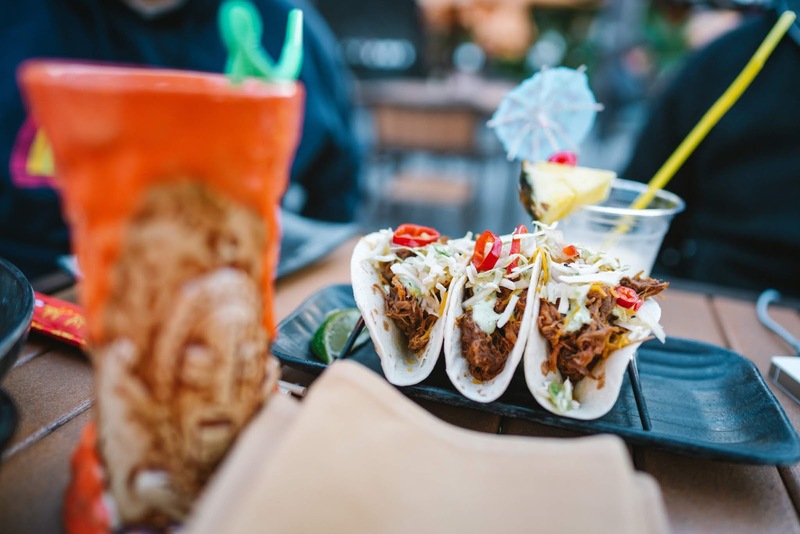 For just 10 bucks, you get three large tacos stuffed to the brim with barbecued shredded pork and topped with cabbage and pickled vegetables. The pork was a nice balance of sweet and spice, and the veggies provided a nice little crunch. They also paired quite nicely with the Spikey Pineapples we were taking down. I was also a big fan of the Roasted Chicken and Pork Pâte Báhn Mi Sliders. These will also run you just $10 and also come three to an order. 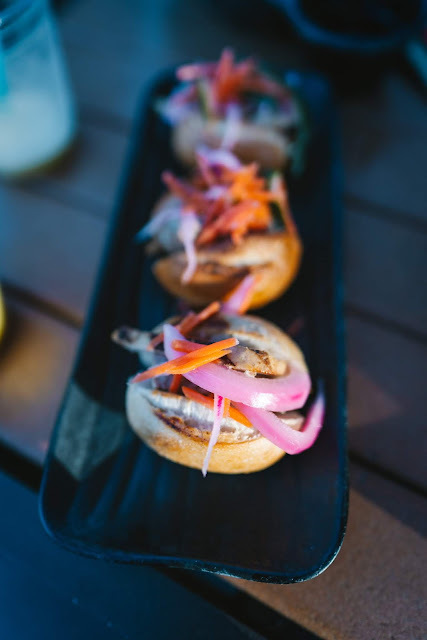 They are also topped with fresh and pickled vegetables and offer a nice twist on a traditional slider. We only had to wait about 45 minutes on the terrace before our pager started buzzing and we were invited to come inside. This doesn't mean you have a table or even a chair, but over the course of our stay, we were able to commandeer a majority of the main bar seats. The drink menu is quite elaborate, complete with illustrations and stories to accompany the cocktail offerings. 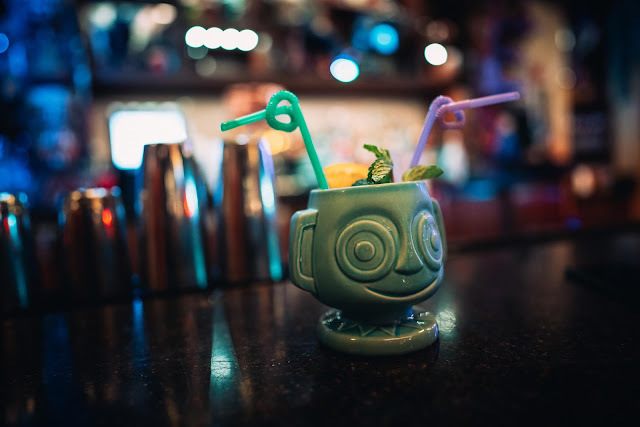 Almost all of the cocktails are served in tiki mugs or bowls that can be taken home as souvenirs (for an additional charge, of course.) We learned from our bartenders that some Disney fanatics collect all of the different iterations of each glass, as the design will change every couple of years. I'm fairly certain this particular one was the "HippopotoMai-Tai," which is a mixture of Coruba Dark Rum, Bacardi Superior Rum, Bols Orange Curaçao, Orgeat (Almond), Organic Agave Nectar, and fresh Lime Juice. Cost is $13.25 without the mug. 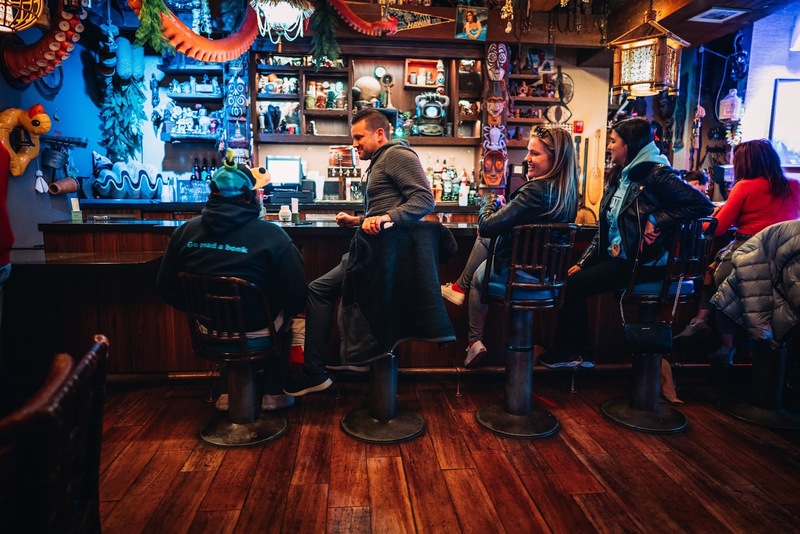 Several of the cocktails also trigger a series of special effects or songs and chanting performed by the staff, and often, the patrons themselves. (There were several locals there, who clearly frequent the bar on a regular basis, and if you stay long enough, you start to catch onto which effects accompany which cocktails.) This was the "Uh-Oa," which is served on fire and designed for two or more guests. It was one of at least five cocktails that come with a mini-show from the staff, and will run you almost $22 for one bowl ($41 if you want to keep it for a souvenir.) 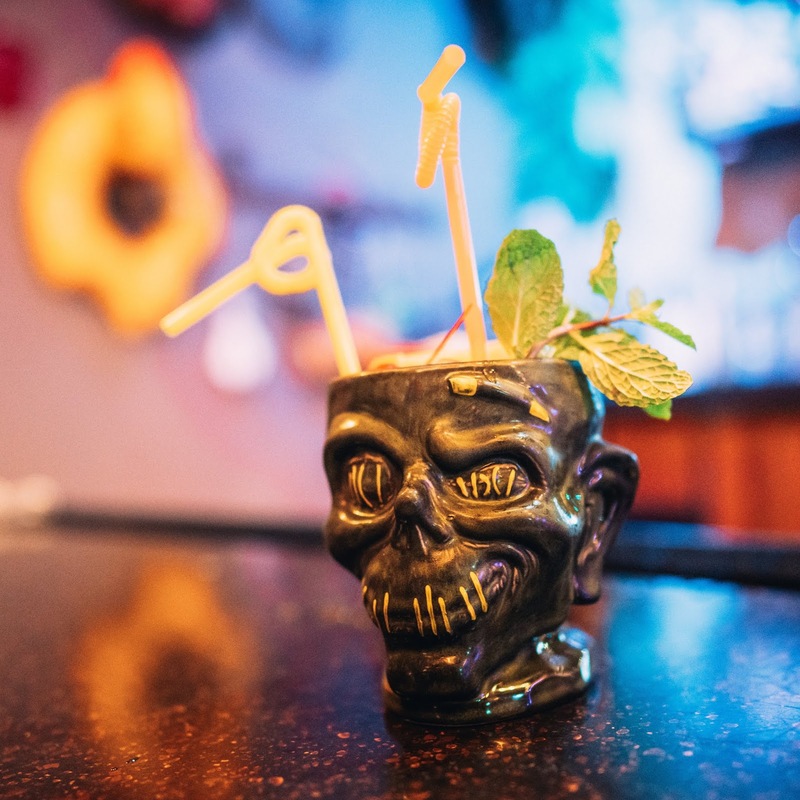 It contains Myers’s Original Dark Rum, Bacardi Superior Rum, Orange, Passion Fruit, Guava, Pineapple, and Grapefruit Juices, Falernum, Cinnamon, and fresh Lime Juice. 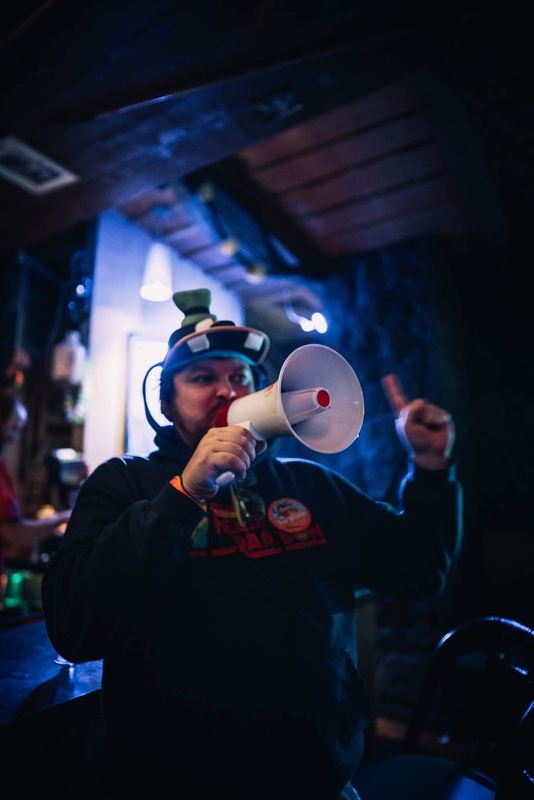 They also employ a variety of props for the arsenal of special effects, including a megaphone that our friend Adam convinced our bartender to let him borrow. She agreed on the condition that he declared her the best bartender in the world. He also announced to the entire bar that he met Goofy that day, while wearing his brand new Goofy hat against the wishes of our bartender. But hey, that's what you get when you serve strong drinks and hand over your megaphone to our crew of friends. Special shout out to our "skipper"... Molly, who was thoroughly entertaining and made our Tiki Bar experience so much fun that we came back a second time later in the same trip. Cheers to that! If you missed Part I of this post, make sure to read about how to Drink Around the World at Epcot and stay tuned for Part III, which will give a general overview and also detail our day at the Magic Kingdom. Did you like this article? If so, show some love by "pinning" the above image to your Pinterest page!